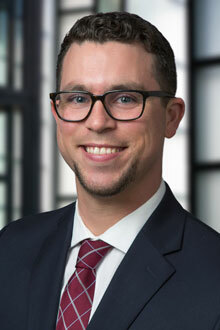 Daniel Lyman is an associate in the San Francisco office of Lewis Brisbois and a member of the General Liability Practice. Prior to joining Lewis Brisbois, Mr. Lyman worked as a Legal Research Attorney for the San Francisco Superior Court. During law school, Mr. Lyman served on the Executive Board of USF Law Review, Vol. 51, and was a competing member on the Judge John R. Brown Maritime Moot Court Competition team. In addition, Mr. Lyman served as a Judicial Extern for Chief Justice Cantil-Sakauye of the Supreme Court of California, and as a Judicial Extern for the Presiding Judge and Appellate Division of the San Francisco Superior Court.